The hot spell has created ideal night-time trapping conditions with extraordinary numbers and diversity of moths and prompting moths to wander or disperse. I`ve been trapping for five consecutive nights, sometimes the easy option of a home trap but also three `away from home` traps in certain habitats. I have n`t been able to trap on maximum capacity (ie using all of my six traps) as the numbers of moths generated and daytime work made that impractical. It will also be impractical for me to list all highlights on the blog, as time is still limited and I`ve got quite a few micros in the fridge to check. 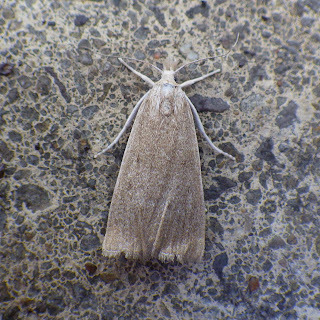 The ideal mothing weather has now broken, allowing `catch up time` to determine certain specimens and complete my listings. 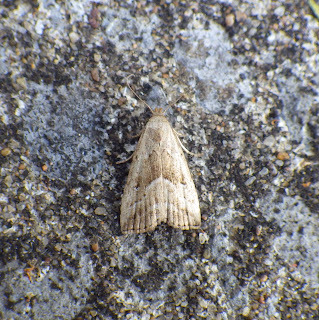 A trap put out in the garden on Sunday 18/6 attracted at least 85 species and, as well as the cream-bordered green peas and the Rhodophaea formosa already mentioned, a good selection of moths of varied habitat were encountered - from woodland moths (eg beautiful snout) to coastal and wetland species such as dog`s-tooth. I`ll focus on pyralids in this blog, a group of micros that are quite large and therefore ideal for the newcomer to moths to do alongside macros. Except for one photo, all the following are pyralids and mostly associated with wetland or coastal habitats. 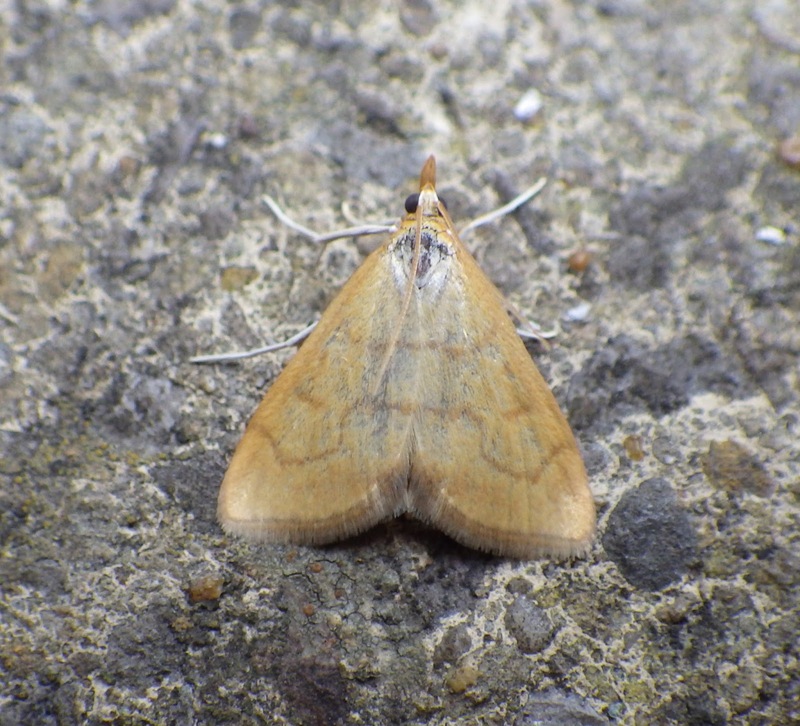 Above: Anania crocealis (feeds on fleabane). 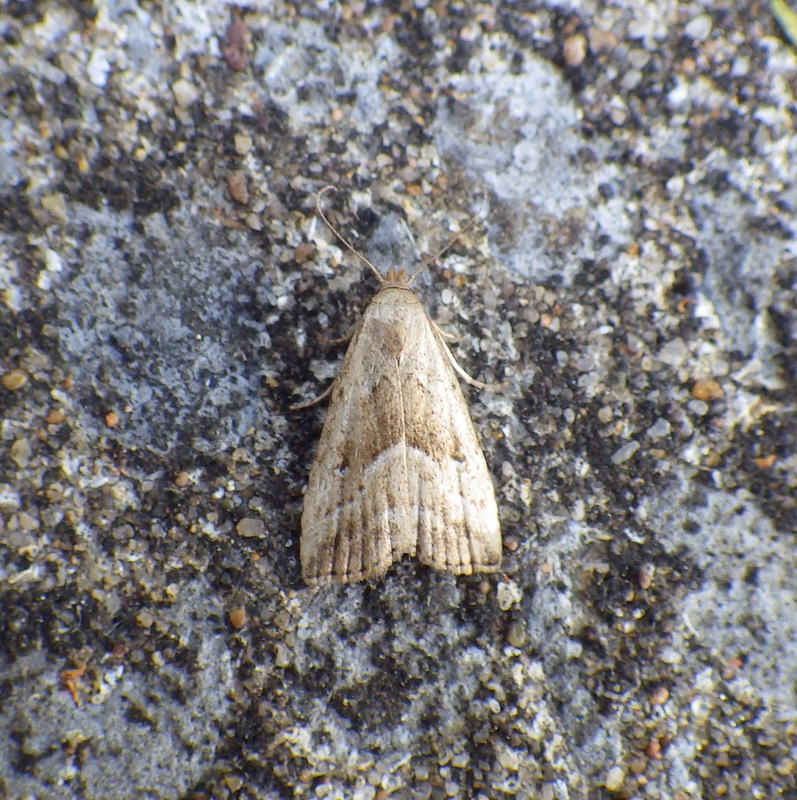 Above: marsh oblique-barred, a small macro that looks like a pyralid! 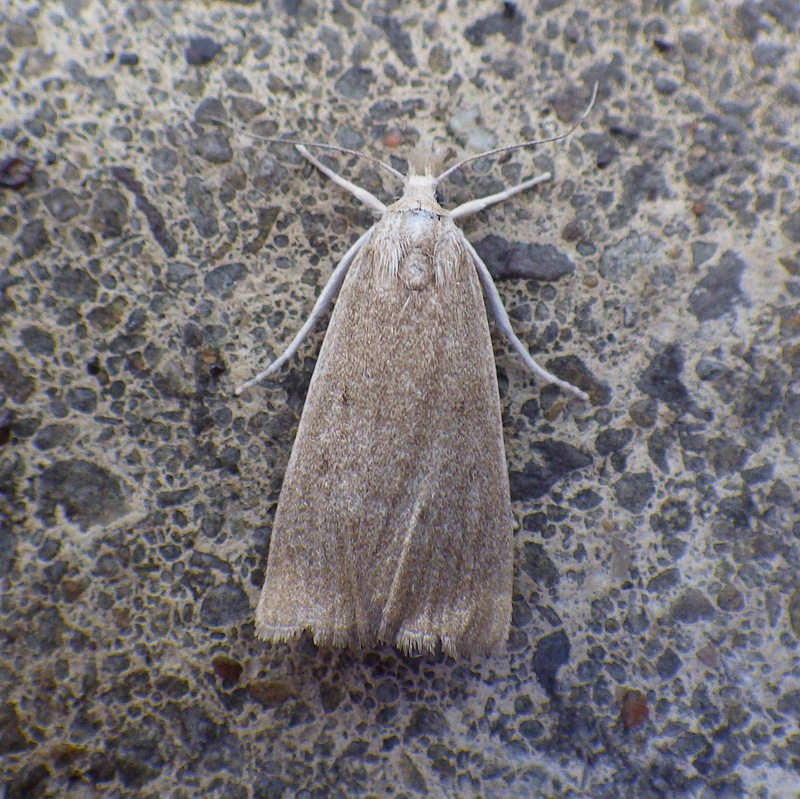 Above: Calamotropha paludella. Larvae found on bulrushes. 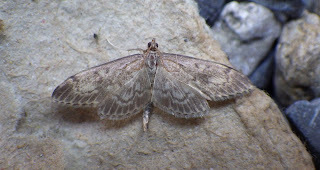 Above: ringed China-mark, often one of the commonest pyralids in my traps. 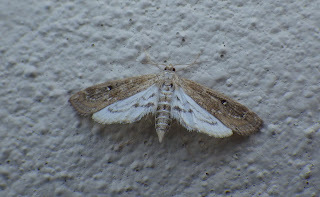 Above: Anania lancealis - longer-winged than the similar `mother of pearl`. Above: Phycitodes binaevella - associated with thistles in the larval stage. It's definitely catch up time now - though I really need some sleep!